A location as unique and impressive as your team. Companies with high morale outperform their counterparts by 20%. Desert Reset offers turnkey customizable Joshua Tree company retreats for up to15 members. We know that a great company retreat can bring a team together in a whole new way, igniting passion and renewed inspiration, so we offer you and your team the best experience imaginable. Bring your team to one of the world’s top bucket-list locations. Athough Joshua Tree is suprisingly easy to get to, it feels as remote as one can get. Joshua Tree, located in the Mojave Desert, has long been a destination for creative thinkers—and for good reason. The expansiveness of the desert lends itself to an openness of thought, allowing for breakthroughs, insight, self-discovery, inspiration and great ideas. Set foot in this part of the world and you instantly realize how special it is. No wonder U2 named their best-selling album “Joshua Tree.” In the 60s and 70s musicians such as Paul McCartney, Gram Parsons, Keith Richards, John Lennon, Jim Morrison, and The Eagles all flocked to Joshua Tree for respite and inspiration. 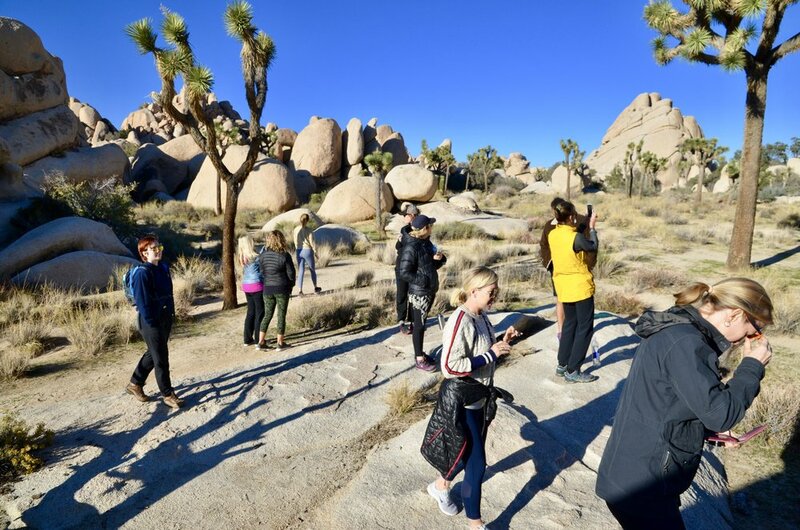 Today, Joshua Tree has once again become the “it” place for millions of visitors, including many of today’s top companies, looking to reconnect with their team and inspire great performance. Trust falls and motivational speakers are so1995. Today, team members seek self-growth, wellness, new experiences, and a refreshed perspective. As they say, the whole is the sum of its parts. 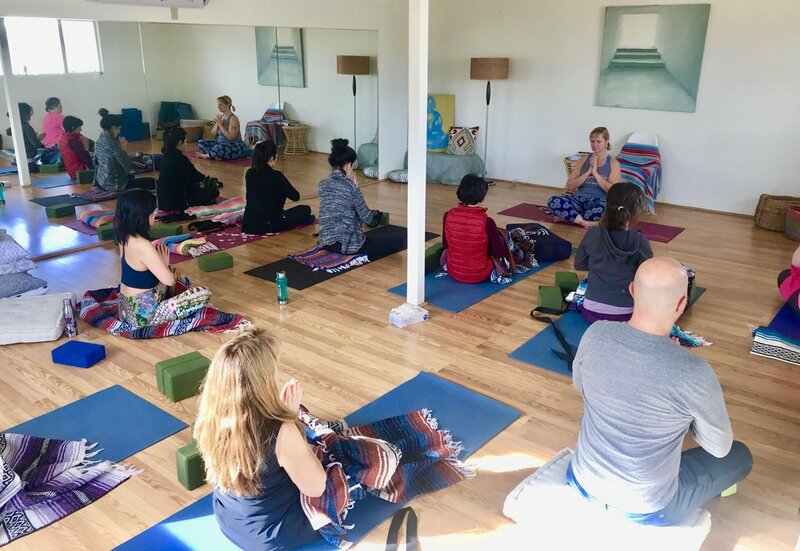 The well-being of each team member affects the entire company; for that reason, our retreats are focused on creating not only a renewed passion in team members’ work, but also in themselves. Our goal is for you to have a relaxed and fun experience, not only in the planning stage when you first contact us, but through your entire stay. We offer complete amneities from yoga studio and swimming pool to shampoo and alcohol. We provide everything you need to have a memorable retreat. 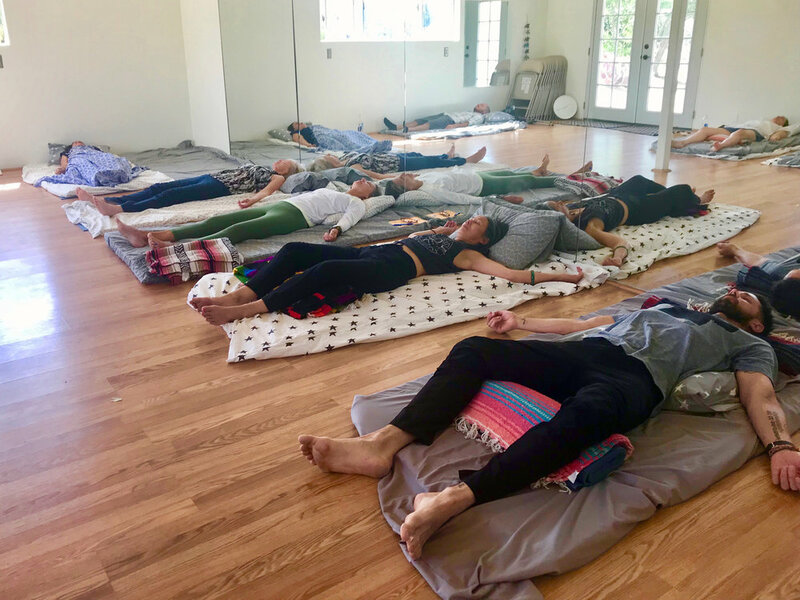 Desert Reset offers a rich smorgasbord of activities and options to design your unique Joshua Tree company retreat experience. 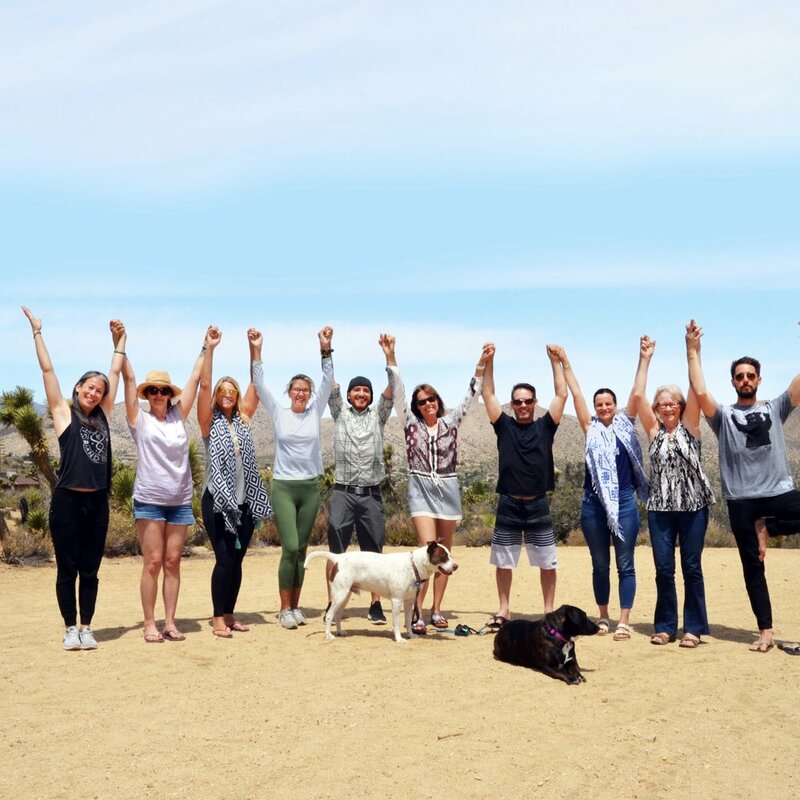 Prices vary according to group size and chosen activities, but don’t worry, we work hard to make sure your Joshua Tree company retreat is just as affordable as it is lifechanging. It’s easy to get started. Simply fill out this form with some basic information and you’ll have your gang in the desert in no time.